Arizona announced the roster move on Saturday. The Cardinals also placed offensive lineman John Wetzel on injured reserve. Bradford joined the Cardinals in March to be the team's starting quarterback. The Cardinals drafted Josh Rosen in the first round a few weeks after signing the veteran gunslinger. Mike Glennon is now Rosen's backup on the Cardinals' depth chart. Bradford was benched in Week 4 and has been an inactive third quarter. He was due a bonus of more than $300,000 for each game that he was on the active roster on game day. Bradford will still receive the remainder of his $5 million guaranteed salary. He also received a $10 million signing bonus and per-game bonus money for the first three weeks of the 2018 season. The No. 1 overall pick in the 2010 NFL Draft played the first five seasons of his career for the St. Louis Rams before being traded to the Philadelphia Eagles in 2015. 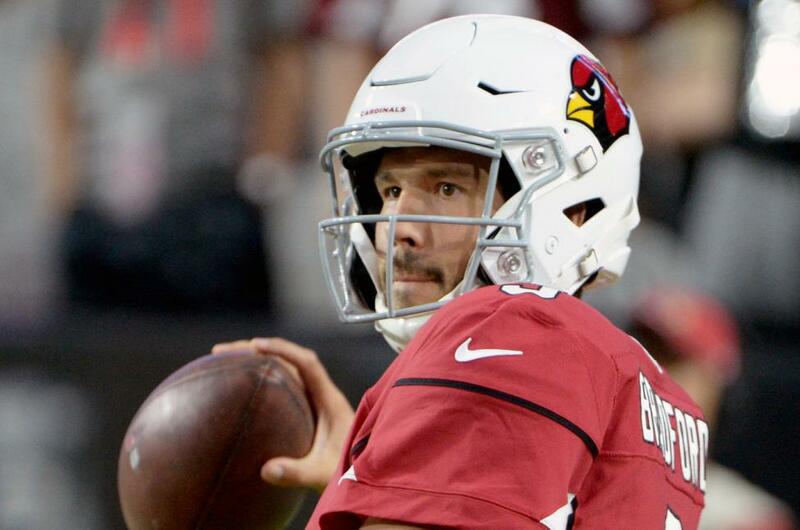 Bradford was traded to the Minnesota Vikings in 2016, before signing with the Cardinals this offseason. For his career, Bradford owns an 84.5 quarterback rating. The 30-year-old has completed 62.5 percent of his passes for 19,449 yards, 103 touchdowns and 61 interceptions, while posting a 34-48-1 record as a starter. The Cardinals have a Week 9 bye and return to action against the Chiefs at 1 p.m. on Nov. 11 at Arrowhead Stadium in Kansas City.